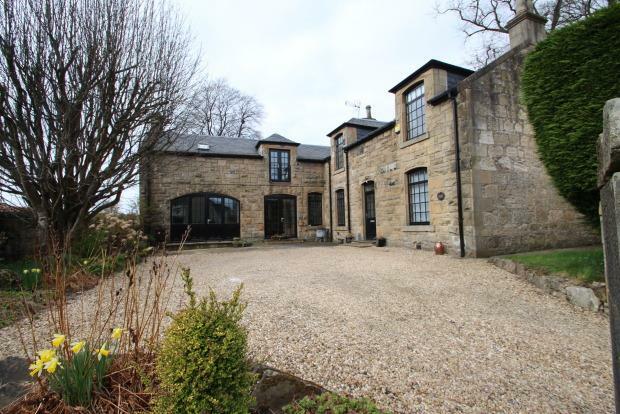 4 Bedroom House To Rent in Larbert for £1,500 per Calendar Month. Unique four bedroom family home situated in a much sought after area within the popular town of Larbert. Only minutes drive to the train station or to motorway access for either the M876/M80 or M9 makes this ideal for those who commute across the central belt. Set within a large mature garden. The unfurnished property which has been freshly repainted throughout offers extensive accommodation comprising of entrance hallway, lounge with French doors to the rear garden, downstairs double bedroom with fitted wardrobes, contemporary spacious bathroom with separate shower, utility room with fridge/freezer, dishwasher and washing machine, fully fitted kitchen with integrated fridge and separate dining area, French doors lead to the front of the property. Large family room. The upper level has three further double bedrooms. Stunning bathroom with separate shower and luxury vanity units. Stylish good sized bright sitting room with juliette balcony. Gas central heating/under floor heating ground floor. Double glazing. Large chipped driveway. (Please note the summer house and large shed are not included in the let). 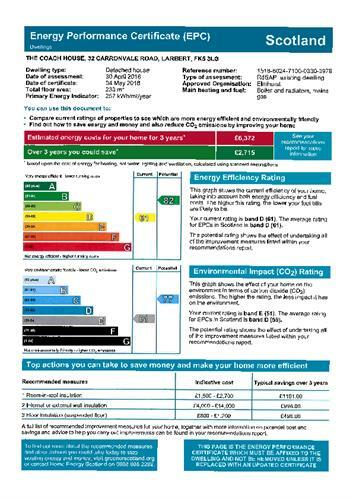 EPC rating D. Council tax band - F.